Can occur anywhere the skin has been stretched. And usually, present themselves as thin streaks or lines that occur on the surface of the skin. They’re often red or purple, but gradually fade to be a silvery white colour. Where Do Stretch Marks Form? It tends to be in areas like the tummy, breasts, upper arms, buttocks, thighs, and shoulders. The marks usually occur during pregnancy or periods of rapid weight gain. Sometimes it can be caused by genetics if there a history of the family. Or by an underlying health condition. Including the prolonged or overuse of corticosteroid use. Some people have very flexible skin that is not usually prone to stretch marks. However, during pregnancy, this can change due to a change in hormones, which can reduce the elasticity of the skin. Regular dieting can cause stretch marks as your weight goes up and down, putting pressure on the skin. Athletes often get stretch marks as their muscles grow. 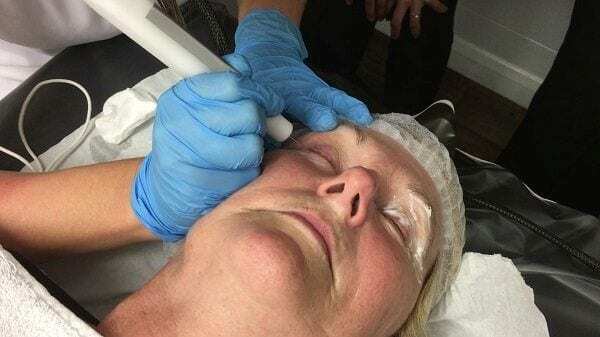 Micro Needling – is a non-ablative skin therapy, also referred to as Collagen Induction Therapy (CIT) or Derma Roller. The principle behind Micro Needling is simple; it is a non-surgical skin- tightening treatment. IPL Skin Rejuvenation – this is a colour correction treatment that uses light energy to rejuvenate the skin.